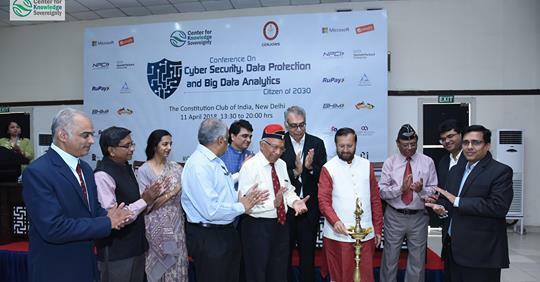 A conference on Cyber ​​Security, Data Protection and Big Data Analytics was organized in Delhi on 11th April,18 at the Constitution club of India, Delhi.. The programme was organized by CKS in association with CENJOWS. Union HRD Minister Shri Prakash Javadekar was the Chief Guest of the program.